The copy is a very important part of ensuring that your web site ranks successfully on the search engines. 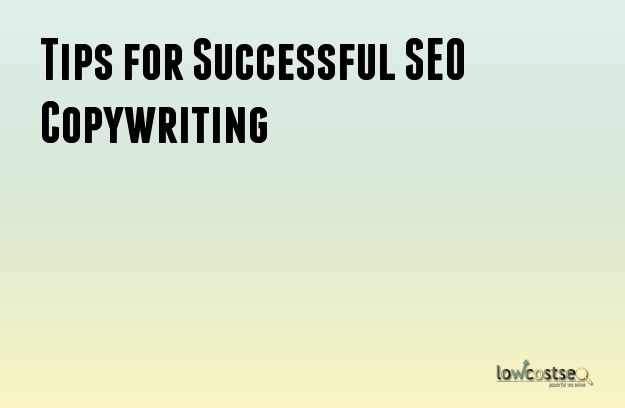 It is done by using certain keyword phrases in the copy with a proper density and interval. Before starting on the copy, it is essential to select the right well-researched keywords in order to get the optimum results. Monthly SEO Package in USA is a way of increasing the web site’s rank on the search engines. The content created for it must be so appealing that the visitors will want to share it or link it to their website. Make the content natural but optimization friendly: Search engines like Google favor natural content over anything that is obviously written for SEO. If you want the search engines to find it, write it naturally and also make it optimization friendly. Keyword density: Though there is no proof that search engines prefer keyword density over others, you should make sure that you do not write the content using the keywords haphazardly. If you cram the keywords in the content, it will not help you. Used related keywords: Use the relevant keywords matching the search results in your content. You can also use the synonyms are grammatical variations to make the content even more relevant. Do not cram the copy with the keywords, but use it in the proper way. Google Tilde: Using Google Tilde (~) in front of the keywords to get more relevant results. If you use that particular sign before searching for the keywords, Google will come up with the other keywords that I find relevant. Write quality content: The most important thing about content is the quality. If the article is in depth and is well researched, it will have a good ranking on Google. It is also seen that the web sites that rank high on the search engines, usually have at least 2000 words long web page. So, the trick to writing good content is doing quality and sufficient length. But, do not make it long just for the search engines. Make sure that it is relevant as only then it will be shared by the readers. Long Tail Keywords: It is seen that the keywords that have long tail have the equal search volume like the short ones, but the conversion rate is much more. The visitors have a much higher conversion rate in the long tail keywords. Answer the questions: Many visitors search the internet with certain questions. If you are able to give the best answer to the questions, the visitors are likely to visit your web site more. Get your content shared: The more your content is shared, the more its value and effect will increase. Take steps to ensure that it is shared in the different social media platforms like Facebook, Twitter and LinkedIn.If you take these steps, the PPC Management Services will see more results and improvement in search engine ranking.